there is no device to select in the list. please i need some help. that is, I've not been able to connect via airmirror -via osx app or web.airdroid.com - consistently, to the same phone that used to work, in about 3 months. Would you like to update the desktop Airdroid to the latest to see if it works? Bummer that I am able to make ADB connections for Android debugging over ethernet on my LAN but AirMirror connections require an actual USB cable? 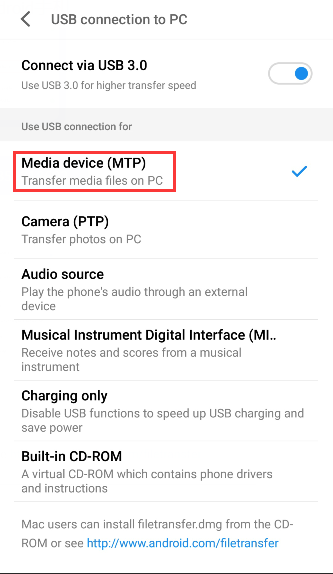 Would you like to check if your USB connection mode is MTP? Only on this mode can the computer detect to your phone.